Le Blog de Frivole: Favourite Heel Please? Sock knitters out there? What's your favourite heel please? 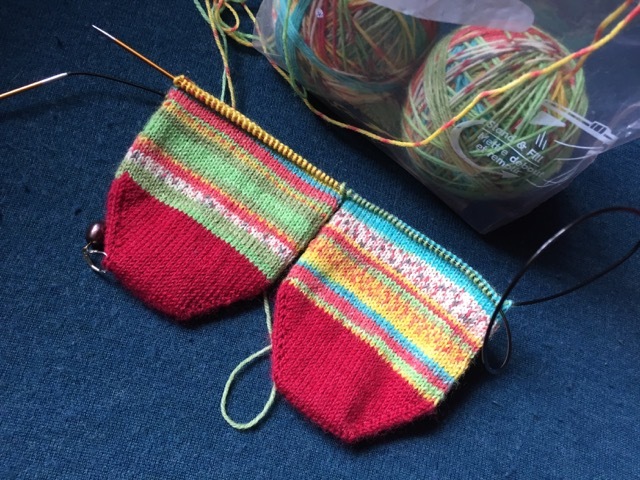 I like to knit toe-up and I want to make a contrasting heel on my current pair of socks - which heel would you use for that? I'm a big fan of the Fleegle heel but because the gusset is incorporated, I don't think it would work for a contrasting heel. The other one I use is a German short-row heel with re-inforced back and that doesn't work either for contrasting. Can someone recommend a heel that would work? So I finished the pair that I had started on the previous blogpost. The wool is by West Yorkshire Spinners and it's from a bird series... this one is "pheasant". The next pair is already started as you can see. It's a bit of a mad fun wool by Opal. I'm going with red toes and heels. Hence the enquiry about the best heel. I just went with where I was after I split my 100gm ball in two. so I made this small Lavender sachet. for the centre of my flower in my button box. The flower is from here. 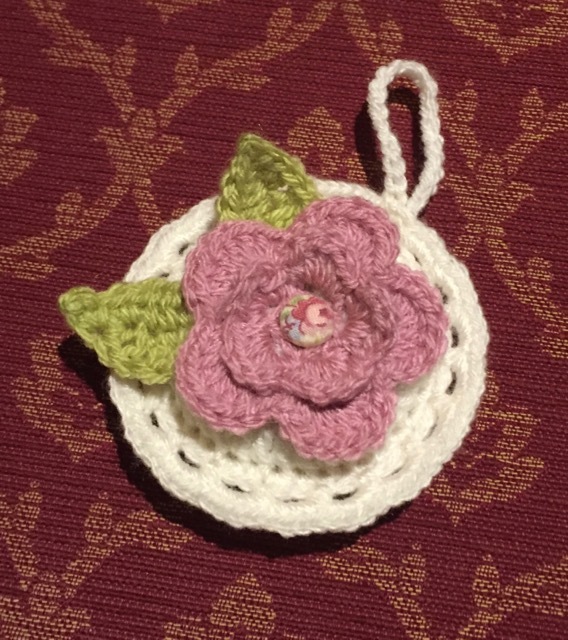 The sachet I made up as I went along. The leaves are from here. I know there's a lot of different "short row" techniques, so probably that others one could be used ! I’ve used the afterthought heel for contrasting heels. I think it works for both directions. Your socks turned out beautifully. I like the ‘same but not same’ ones too. Lovely socks. There are different heels on wendyknits.net go to free patterns, also on you tube Cat Bordhi sweet tomato heel, or the after thought heel. The only contrasting heel I've done is the afterthought heel. 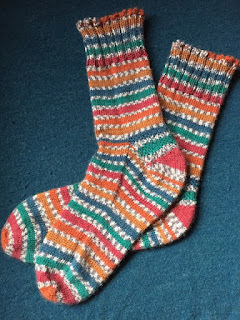 It's been so long since I've knit a pair of socks, I'm not sure I remember what I learned! my go to is the 'strong heel' - roomy and nice to do..but it wouldn't work for contrast - I too would use the after thought heel for that - socks are lovely! I love your socks! I think a short-row heel or afterthought heel would work in a contrasting wool. I prefer cuff down when knitting socks. My contrasting will be the heel flap and heel turn. Sorry I have never knitted socks so I can't help you, at the moment I am knitting a pair of slippers for my sister in law whose feet are so big she can't buy a pair of slippers.